Lucky–that’s how Jennifer would describe herself. She had a successful law career, met the love of her life in Doug, married him, had an apartment in New York City, a house in the Hamptons, two beautiful children, and was still madly in love after nearly seven years of marriage. Jennifer was living the kind of idyllic life that cliches are made of. Until Doug was killed in the attacks on the World Trade Center, and she became a widow at age thirty-five–a “9/11 widow,” no less, a member of a select group bound by sorrow, of which she wanted no part. Though completely devastated, Jennifer still considered herself blessed. Doug had loved her enough to last her a lifetime, and after his sudden death, she was done with the idea of romantic love–fully resigned to being a widowed single mother . . . until a chance encounter with a gregarious stranger changed everything. Without a clue how to handle this unexpected turn of events, Jennifer faced the question asked by anyone who has ever lost a loved one: Is it really possible to feel joy again, let alone love? With unvarnished emotion and clear-eyed sardonic humor, Jennifer tells an ordinary woman’s extraordinary tale of unimaginable loss, resilience, friendship, love, and healing – which is also New York City’s narrative in the wake of September 11. Where You Left Me is an unlikely love story, a quintessentially New York story – at once Jennifer’s tribute to the city that gave her everything and proof that second chances are possible. We will remember where we were when we heard the news or saw it live on television, we will remember who we were with, how helpless we felt, how angry we were or how we searched for any way at all to help. 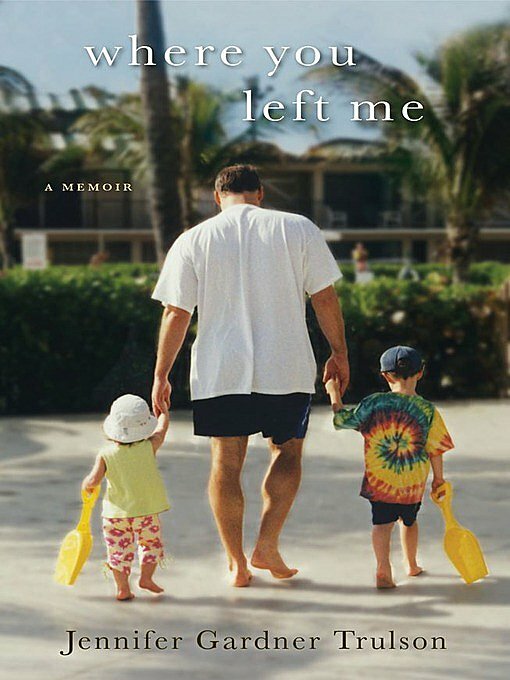 A few weeks ago, I posted about being emotionally invested when you read and I was talking about this book, Where You Left Me. It had been on my ereader for months, staring at me every time I turned it on. But I knew it would be a difficult book for me to read and one that I wasn’t ready for just yet. I didn’t personally know anybody who died on September 11, but, like most Americans and millions of people around the world, I was deeply affected by the attacks, what it meant for our country and overwhelmed emotionally with the absolute horror of it all. As the book release date drew near, I opened the book and began reading. And was totally shocked. All of those feelings from ten years ago bubbled to the surface almost before I finished page one. In Where You Left Me, Jennifer is so open and bluntly honest about how she felt, the raw emotions she experienced, even those she didn’t, that my heart just ached for her. The first two thirds of the book are about the attacks and their immediate aftermath, the despair she felt when she couldn’t feel Doug anymore, knowing he was dead. Telling her two small children that their Daddy wasn’t coming home. Having a memorial service without a body. Receiving the only belongings of Doug’s found in the wreckage of the Twin Towers in a sealed evidence bag. But still, she considers herself blessed. She is surrounded by friends and family who, even though they were hurting, too, were there for her when it counted the most, who made her laugh, let her cry and understood, as only those who lost loved ones that day can, what she was experiencing. As raw and emotional as the first part is, the last third of the book is inspiring and hopeful. While still grieving, and searching for ways to honor the memory of her husband, Jennifer unexpectedly meets Derrick, and slowly opens herself up to finding love again. As the reader, you can’t help but wish for her a happy ending. We hear a lot about how the New York, Pennsylvania and Washington, D.C. communities, indeed our whole country, came together in the days, weeks and months following the attacks, and emerged better, brighter, stronger than ever. But, the truth is it isn’t one big collective story of hope. It’s the sum total of thousands of personal stories, like Jennifer’s, that made us better, brighter and stronger.